Elizabeth Anderson wanted to be a mother with all her heart. When she finally got her wish, it sent her down a path of immense grief and intense frustration. It also introduced her to the greatest joy she had ever known. She and her son, James, went through surprising diagnoses, a shocking death, and more in their shared journey. 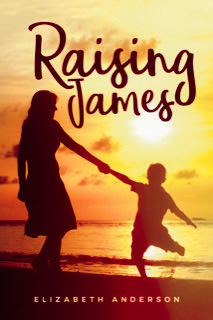 It began when Beth and her husband, Jim, brought tiny baby James home. It soon became obvious that raising James would present its own unique challenges. James was diagnosed early with bipolar disorder and struggled with self-destructive tendencies and violent behaviors. When Jim was killed in the line of duty as a police officer, Beth didn’t know how she would pick up the pieces of her life. Nevertheless, she found new adventures and a new family just over the horizon. Beth and James’ story will strike a chord with any parent of a child struggling with mental-health challenges. Beth hopes that her work will give you inspiration and encouragement. She knows that you may be frustrated with social systems that often fail special-needs children, but she assures you, with perseverance and faith, there are better days ahead. Elizabeth Anderson lives in Palm Bay Florida with her husband and 2 dogs. She is the mother of 2 grown children and has been a teacher and assistant principal for over 30 years. She has a Master's Degree in Educational Leadership. She enjoys traveling, volunteering and writing/producing murder mystery dinners. Wanda Luthman's children's book, A Turtle's Magical Adventure, will be on sale for .99 on CyberMonday only. Anne Marie, a Swedish blonde woman, is the adopted daughter of a French Trapper in the Wyoming territory. 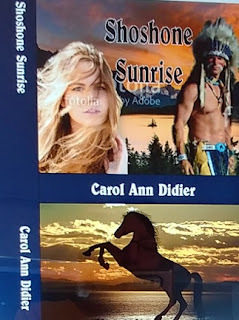 She is kidnapped at the annual rendezvous and caught between the rivalries of two Shoshone warriors. One wants her as a trophy, the other to protect her from all hurt, harm, and danger. Chief Washakie, great leader of the Shoshone, wants to keep the peace between the white caravans traveling the Oregon Trail and agrees to protect them as they cross his land. Another leader, Chief Pocatello, wants to annihilate every white man, woman, and child that comes into his territory. Who will win in the clash of wills for honor, duty, and love, and who will win the black stallion, Thunder, that everyone covets. Speaker: Break out the mistletoe AND the champagne! The December FMWA meeting will be our usual celebration of the winter holidays. Even better, we’ll be combining the holiday fun with our long-delayed celebration of FMWA’s 25th Anniversary. In addition to our buffet luncheon, special events include: the viewing of a professional FMWA commemorative video; the cutting of a FMWA birthday cake along with champagne toast; a FMWA trivia competition; raffle drawings; and memories from some of our longtime FMWA members. Plus, all attendees will receive a commemorative party favor celebrating FMWA’s first quarter century. And, to keep things festive, we’ll also be holding our usual Holiday Pirate’s Gift Exchange. Participation is optional, but you won’t want to miss out on the fun. To take part, bring a wrapped gift of up to $20 value. Liquor and wine are always popular options (hey, we’re writers—we like our adult beverages) along with anything flamingo or writing-themed. But, please, no books (hey, we’re writers – we already have tons of them). About dessert – if you’ve attended our holiday party before, you might recall that folks traditionally bring homemade cookies, cakes, and candies to share. BUT, since this is the 25th Anniversary celebration (and since the hotel has policies regarding outside food), our special 25th Anniversary cake will take the place of the dessert potluck. So please save those sweets for other parties. Please register early (by December 13) so that we will be sure to have plenty of cake, champagne, and party favors for all attendees! Casual holiday attire is encouraged! Refund Policy for meeting no-shows: Members must notify Harriet before noon on Wednesday to cancel their reservation if they want a refund. People must pay the reservation fee regardless if they eat or not, to help cover the cost of the room. The second annual Spacie Awards will be held Friday, December 29th from 7-10pm at the Space Coast Convention Center located at 301 Tucker Lane in Cocoa, Florida. The Spacie Awards began as a Facebook poll to find the best in independent comics, cosplay, film, novelists, and so much more. Thousands of people voted for their favorites in ten categories, prompting a formal event to emerge. “The nominees are pillars in our community who have worked hard to get where they are today,” shared Jake Estrada of Space Coast Comixx and co-founder of the Spacie Awards. “It is an honor to have them listed within our sacred pages,” shared David Grace of Space Coast Comic Con and co-founder of the Spacie Awards. Along with her novels, Engle teaches free writing classes at Eastern Florida State College in Melbourne, speaks to kids about bulling in schools, and creates candles inspired by her books known as Wick Books™. 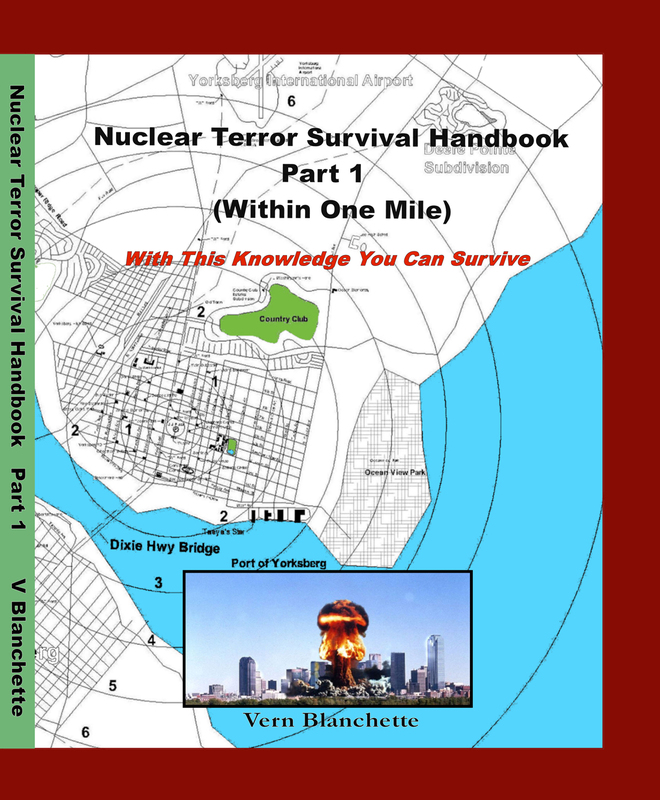 These two books will help the reader understand what to expect if a nuclear explosion occurs in their city. They provide a clear understanding of the many ways the nuclear bomb can harm a person and what actions citizens can take to enhance their chances of survival. A bomb’s explosion is seen over and over again in the lives of twenty-two fictional citizens of Yorksberg; a typical American city. The bomb’s effects are correlated to the person’s location and technical details of the effects described in “The Effects of Nuclear Weapons” by Samuel Glasstone and Philip J. Dolan, U.S. Government Printing Office. 1977. By reading Part 1 and Part 2, the reader will “experience” the nuclear attack from the point of view these twenty-two fictional lives. Following each person’s story is an analysis of what happened to them and why, enriching the reader’s understanding of the effects of a terrorist’s bomb. Vern Blanchette is a graduate of the University of Alabama (B.S. – Physics/Mathematics) and the University of Texas at Austin (M.Ed.). He has taught in public schools, community colleges, and for General Electric Company in the commercial nuclear power industry. He recently retired as an engineer with URS Corporation at the Kennedy Space Center. Mr. Blanchette, married with six children, has been writing for more than thirty years, and is an alumnus of the Christian Writer’s Conference at Lake Yale, Florida. Comments to the author may be sent to Survive@CFL.RR.COM. These new books are available at Amazon.com. 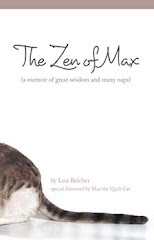 Each book contains approximately two-hundred pages.